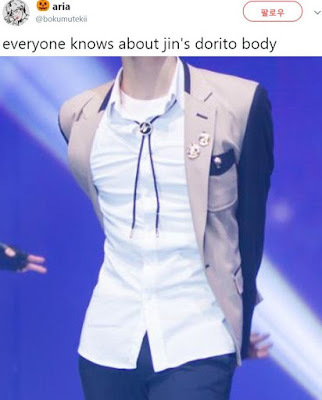 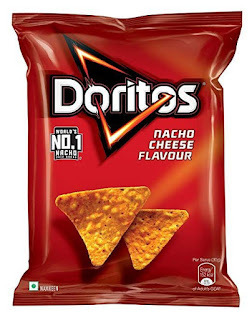 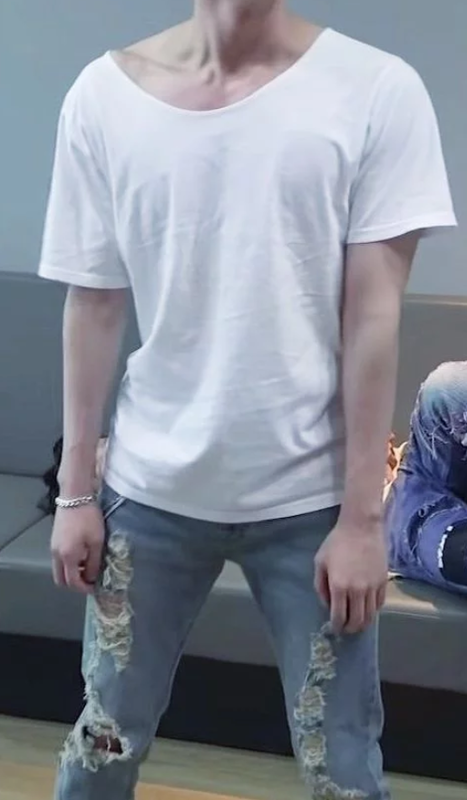 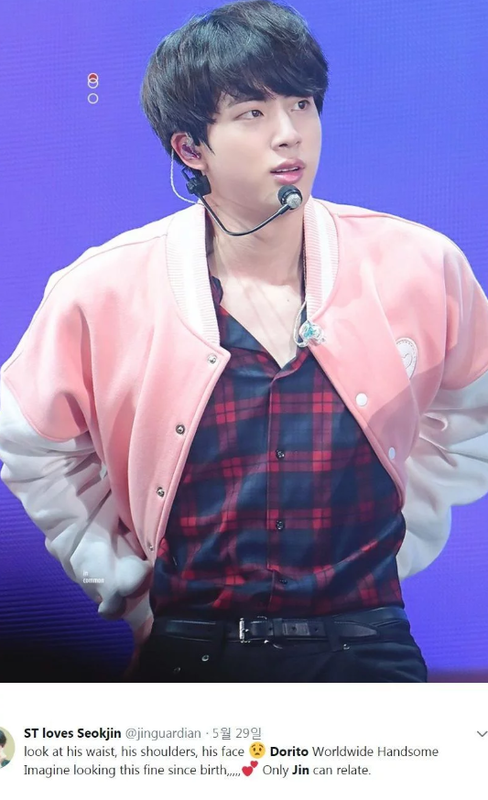 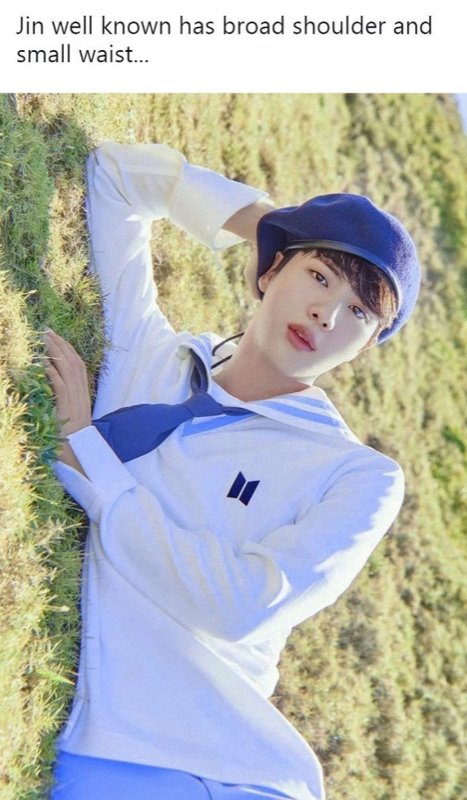 [theqoo] I-FANS CALLING BTS JIN'S BODY A "DORITOS BODY"
dorito body askjsakjask his proportions are perfect tbh not only is his face pretty, his body is too! 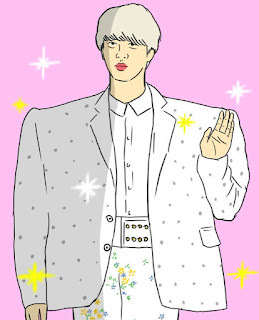 lmao this one is my favorite. 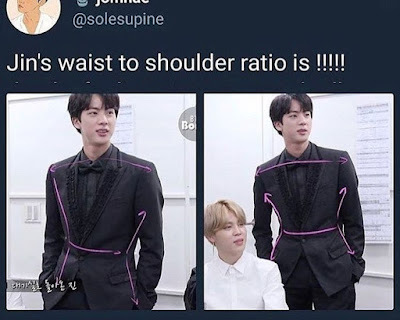 And the saga of weird comparisons continue. 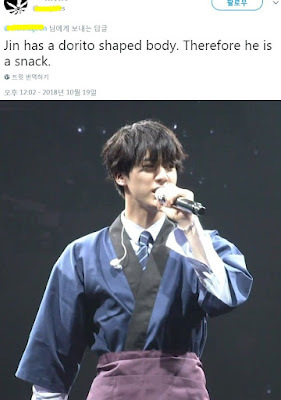 "therefore he is a snack"
you mean brekfast lunch and dinner and in between?